Timber Creek boys varsity Soccer played Denton Ryan on Tuesday, Feb. 3 to tie 1-1. Senior captain Darrius Miller scored the lone goal for Timber Creek. The boys JV2 team tied 3-3 while JV lost 0-3. 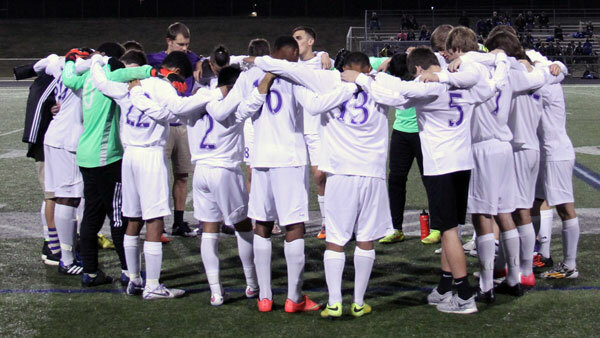 The teams’ next game is against Keller High School at Timber Creek on Friday, Feb. 6. JV2 plays at 4:30 p.m., JV plays at 6 p.m., and the varsity team plays at 7:30 p.m. The Timber Creek Girls varsity soccer team also tied Denton Ryan with a 0-0 final score. JV 2 lost 0-7 while the JV team won 4-0. The girls’ next game is Friday, Feb. 6 against Keller as well. The JV 2 game starts at 4:30 p.m., JV at 6, and varsity at 7:30 p.m.